Buy car accessories online at cheap rates. Rediff Shopping is the leading online store, to buy automotive accessories in India. If you want to buy brand new Sony car accessories, Rediff Shopping has it all for you. Find great deals at Rediff Shopping on all car accessories; be it any brands such as Sony which provide you with a high value product at affordable rate. You will be amazed at the discounted car accessories prices which we offer. We have the best automotive accessories with the latest products such as fuel saver, electronic hot/cold travel mug, foot air pump with pressure meter and many more. Confused on which automotive accessories to buy? Search by brand! 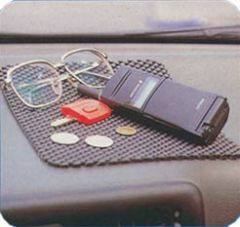 We have a whole range of leading brands in car accessories.